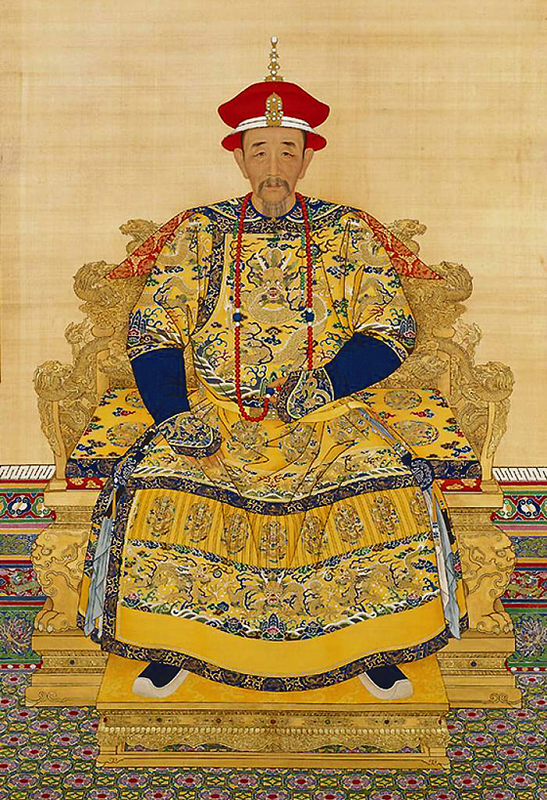 At his accession, the Qing dynasty (1644–1911) was by no means secure, and a council of four regents governed in his name. At 13, Kangxi got rid of the regents and assumed personal power. Kangxi was an extremely energetic and conscientious ruler who studied history and philosophy under Chinese tutors, military arts under Manchu officers, and Western sciences, music, mathematics, and Latin under Jesuit teachers. He followed a prodigious work schedule that began before dawn and ended late at night. He personally read and answered memorials and reports, writing with the left hand when the right became cramped. His leisure hours were spent practicing calligraphy and writing poetry and essays. He also enjoyed the outdoors, personally leading his troops in maneuvers, military expeditions, and hunting. He set high standards for his personal conduct; for example, he fasted before he reviewed capital cases, saying that a life ended cannot be restored. Kangxi’s greatest military accomplishment was the suppression of the Rebellion of the Three Feudatories, 1673–81, led by Wu Sangui (Wu san-kuei), who invited the Manchus to help him oust the rebels whose occupation of Beijing (Peking) had ended the Ming dynasty. Wu and two other allies of the Manchus were granted autonomous princedoms in southern China as reward. Their revolt jeopardized the Qing dynasty and was defeated after arduous campaigns. Two years later another Qing expedition conquered Taiwan, the head-quarters of a Ming loyalist force under Zheng Chenggong (Cheng Ch’eng-kung) and his son. Next he dealt with the Mongol threat, conquering both Outer Mongolia and the northwest. Then he extended Qing authority over Tibet by installing a friendly cleric as the seventh Dalai Lama (1708–57) and the leader of the Yellow Hat sect of Tibetan Buddhism. In addition he defined China’s northeastern border with Russia at the Treaty of Nerchinsk in 1689. Domestically, Kangxi instituted a number of important reforms. He stopped Manchu abuses in the treatment of the majority Han Chinese, reformed the practice of collecting revenue, cracked down on corruption, and repeatedly reduced taxes, finally fixing the tax quota on the basis of population count of 1712 regardless of later increases. The emperor was a patron of many fields of learning. He appointed a board of 50 historians to write a history of the preceding Ming dynasty, following a 2,000-year-old tradition that each dynasty sponsored writing a comprehensive history of its predecessor. The work was published in 1739 when Kangxi’s grandson was on the throne. Other boards of learned men worked on multivolume works including the Kangxi Dictionary and a 5,020-volume work comprising ancient and modern published books. 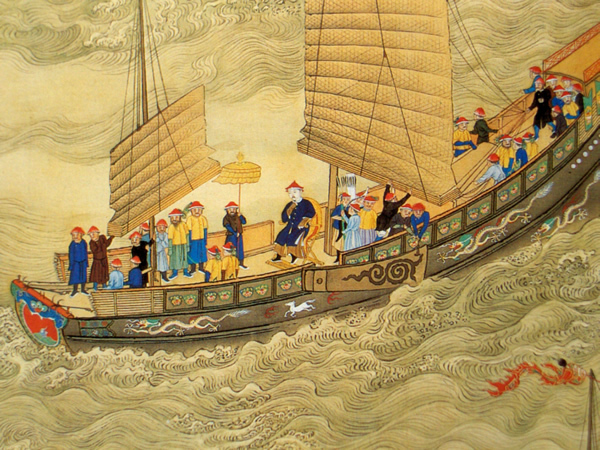 Kangxi fathered 36 sons (20 of whom reached adulthood). His empress bore him one son and died in childbirth. He was proclaimed heir and despite his father’s love and care, the youth grew up dissolute and unstable, became involved in a conspiracy to assassinate the emperor, and was finally demoted and arrested. The troubles with his heir clouded Kangxi’s last years. He refused to announce another heir until his deathbed, when his last will proclaimed his fourth son, Yinchen (Yin-chen), the next emperor. Kangxi inherited an unstable empire and left it splendid, in large part through his conscientious, frugal, and efficient administration.